Daly City is the largest city in San Mateo County, just south of San Francisco. Its width, spanning from the Pacific Ocean on the east side nearly to the San Francisco Bay on the west, makes it the gateway to the San Francisco Peninsula; in fact, most people traveling south from San Francisco will inevitably drive through the city’s center. Daly City’s more than 100,000 residents enjoy living a short freeway drive or BART trip from Downtown San Francisco and the San Francisco International Airport. 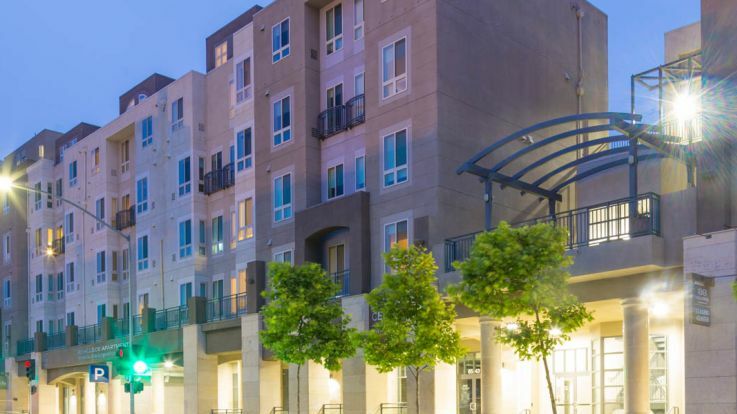 Local transit systems criss-cross area maps, with accessible bus and train stops just steps from most Daly City apartments and business centers, making commuting a breeze. Daly City is expected to remain the largest city in San Mateo County for the next 25 years, according to the Association of Bay Area Governments, thanks in part to the city’s extensive transportation structure, proximity to major area employers, assortment of local businesses and recreational activities, and conveniently located Daly City apartments and homes. The picturesque 7-mile coastline offers unbeatable views of the Pacific Ocean and enough waterfront recreation to keep even the busiest residents occupied. One of the best things about living in Daly City is the area’s future developments, from major shopping centers, hotels and commercial offices to amenity-packed Daly City apartments and entertainment developments, all of which continually bring in new jobs and economic stability during the planning, construction and finished stages. There’s always something new to look forward to, whether in Daly City or in neighboring San Francisco, Oakland, San Mateo or even in Silicon Valley, so residents can always expect some new adventure around every corner. But when it comes to having fun, you don’t have to go far from the area’s Daly City apartments to find quality entertainment. Head over to the Thornton Beach State Park or the San Bruno Mountain State Park to enjoy Daly City’s balmy climate and waterfront breezes; spend the day shopping at the Westlake Shopping Center, which has a lower sales tax rate than neighboring San Francisco; or enjoy a quiet day indoors at one of the area’s four local library branches. Families love the Daly City Party Playhouse, which gives kids the chance to climb and burn off energy, and memorable evenings are made over dinner and drinks at any of the local restaurants and nightlife hotspots. With options this endless, it’s no wonder so many people love to call Daly City home!